A two ribbed myriostigma! a very rare event. 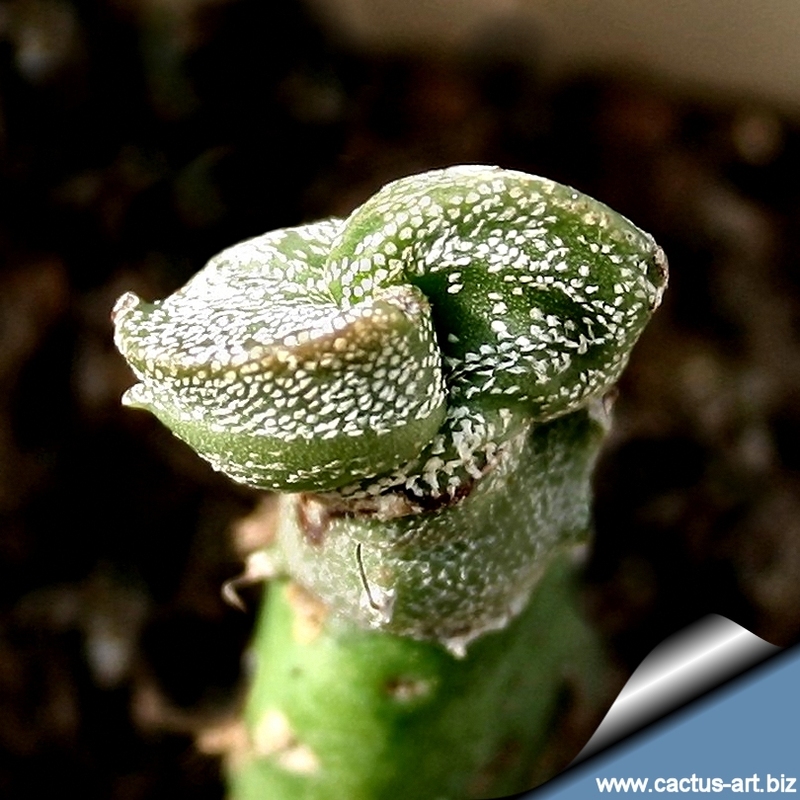 The birth of a two ribbed A. myriostigma is really a rare and memorable event in Cactus Art nursery. Till now only two plants over thousand plants born with this uncommon feature. 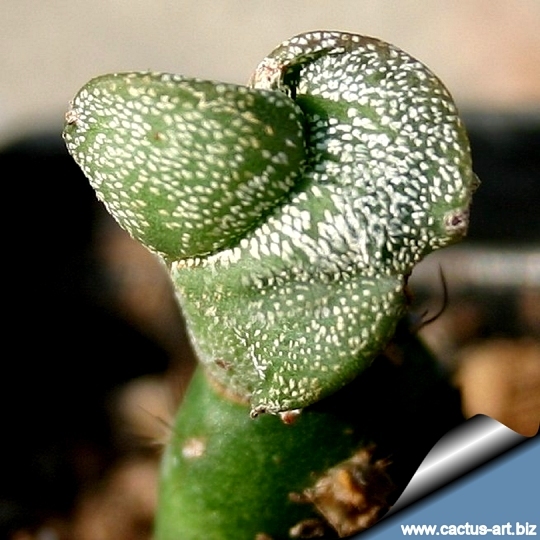 They are young plants and are born from the same seed pod, hoping that they maintain the rare characteristic. One of the two "bicostatum" was at first a relatively common "tricostatum" seedling, but when became one year old it lost one of three ribs, and now it is growing with only two!